Electricity was originally intended as a “clean” and safe source of power for homes and businesses through standard usage of the steady electrical frequency of 60 oscillations per second, or 60 Hertz (Hz). 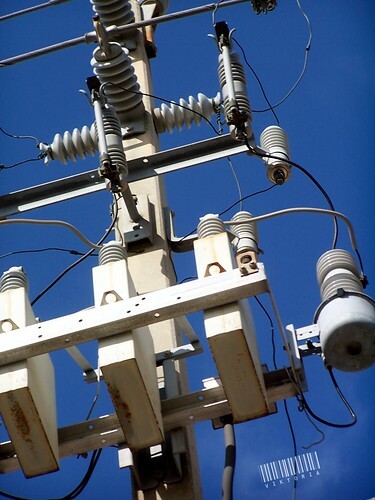 Modern energy efficient devices, electronics, and other reasons such as earth currents can cause significant deviance from the 60 Hz frequency, however, and this pulsed exposure to spiking and unsafe frequencies of electromagnetic radiation (EMFs) on overloaded wires is what has become known as “dirty electricity”. Exposure to dirty electricity has the potential to cause and exacerbate existing health problems in some people. It is not something that can be smelled, touched, seen, or felt and yet it is very real and very problematic for those who experience it on a daily basis. The health effects of dirty electricity were first identified as early as the 1950’s in rural areas when the behavior and feeding patterns of animals were negatively affected by stray voltage caused by poor grounding and lack of utility infrastructure. In Sweden, sensitivity to dirty electricity is a recognized disability affecting approximately 3% of the population. In Switzerland, a survey of doctors concluded that 5% of symptoms in patients could be traced to dirty electricity exposure. While the concept of dirty electricity is a complex one that practically requires a degree in Physics to fully understand, ways to reduce your exposure are simple and easy to implement. Get rid of all the fluorescent light bulbs. Compact fluorescent light bulbs or CFLs, as they are known, have a very large EMF field compared with simple incandescent light bulbs. CFLs also produce a lot of dirty electricity. Getting rid of them and all sources of fluorescent lighting in your home and business will reduce your exposure to dirty electricity immediately. Replace all dimmer switches with simple on/off switches. Dimmer switches produce a lot of dirty electricity! Replace them with simple on/off switches or if that is not in the budget, just leave them off all the time. Turn off your wireless router at night. While getting rid of exposure to all wireless communications is futile in this day and age when it is literally everywhere, you can at least give your body a rest at night while you sleep by turning them off in your home. Make sure your home does not use a Smart Meter. Power companies all over the United States are installing smart meters to simplify the meter reading process. Call your local power company and find out if you have already gotten one and if so, make sure to opt out and go back to the analog meters. I initially thought our home had a Smart Meter, but after investigating, discovered to my great relief that the automated meters in our area were not Smart Meters and were one way communication devices which allowed meter readers to drive down our street and pick up a weak radio signal and thereby read the meter without entering a person’s property. They were not two-way Smart Meters constantly pulsing and sending information to the power company about our electrical usage. Dirty electricity was identified as a possible carcinogen in 1999 by the US National Toxicology Program. What’s more, existing safety limited for pulsing radio frequency are insufficient to maintain public health according to the Radiofrequency Interagency Working Group. If you feel that dirty electricity is seriously impacting your health and want to know more, please click here to investigate information on a line of Earthing products that can protect you in your home or business. Are AMR Devices Safer than Smart Meters? 4 Steps for Keeping Monsanto OUT of Your Garden!